Prepare dough according to Garlic Bread Mix directions and grill. 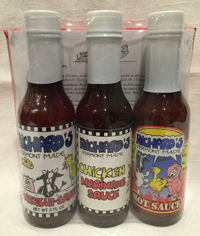 Topping: Layer of VT Made Richard's Barbecue Sauce. Grated or Shredded Cabot Hunter Cheese. Remove from Grill: Sprinkle with King Arthur Pizza Seasoning. 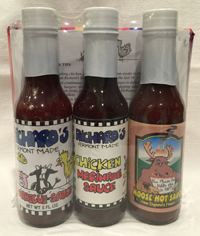 Copyright 2016 Richard's Vermont Made Sauces. All rights reserved.